When you’ve got car trouble on the side of the road, who do you turn to in East Bay? People like you need to be able to depend on a quality roadside assistance provider, and we’d like to be that company for you. Toro Road Runners services this entire area including San Jose, Oakland, and San Francisco. Our company is BBB accredited and a reliable, licensed towing company, so you know we’re here for you. Because we want to serve you first and foremost, we provide roadside assistance in the East Bay for all car makes and models. We’re also open 24/7 to be available to you at your best convenience because we know that emergencies can happen anytime, day or night. Out on the road, anything can happen. You could blow a tire, run out of gas, get your car key stuck in the ignition, get in an accident, and more. When those kinds of emergencies happen, you shouldn’t have to go it alone. We want to be there to help you get through it by providing fast and easy service for you. Our technicians are all well trained and experienced to handle your roadside assistance emergency without any trouble. We can bring you whatever you need. Sometimes receiving roadside assistance isn’t enough. You may need full auto towing services. Here at Toro Road Runners, we provide an extensive, wide range of towing services to residents like you. We’re here for you for local towing, long distance towing, motorcycle towing, heavy duty towing, accident removal, and everything else. We’ll tow you safely and quickly with anything from a tow dolly to a flatbed, ensuring that your vehicle is safely transferred and you are taken care of. It doesn’t matter if you need us at 5 pm after work or 3 am on a Sunday morning – we’re here for you 24/7. On occasion, you have troubles with your car keys. Some people are prone to losing them, others will lock them in their car accidentally, and still others simply have keys that get jammed in the ignition or the door. We’ll resolve that issue quickly for you by cutting you a new key or reprogramming your key on the spot. Why should you choose Toro Road Runners? 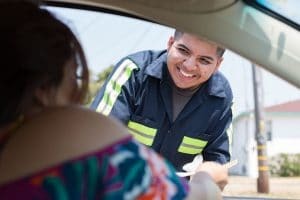 With extensive services provided, 24/7 business, honest pricing, and quick response, we’re your best bet for roadside assistance in the East Bay.